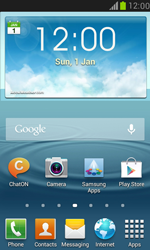 Turn your Samsung Galaxy S III Mini off, reboot it and check whether the problem has been solved. From the Applications manager menu (accessible via Apps > Settings), choose one of the app status bars and choose Force stop. To report a problem with an app, choose one of the app status bars in the Battery menu. Go to Apps > Settings > Report.